and one of our Adoption Team will get back to you ! Please mention the name of the cat you would like to adopt if you have a specific choice, or let us know what your needs are and we will help you find the "perfect" match. Please remember: Even if you cannot adopt, you can still link a Cat to its new home. Pass on the details and enhance lives! Make our world a better place. We ALL benefit. ​​I am beautiful, stunning, most attractive. My eyes are amazing: the deepest, darkest blue with a hint of mint. My front right leg is white and my left a contrasting black! My looks turn heads. My character: loving, trusting, intelligent. I am a prize, a true treasure. When I grew up, I was not neutered. When I grew restless, I was put in the streets. Completely disorientated and fully lost I was picked up by kind people, neutered and taken to the Sanctuary. I might look the gentleman, but in fact I'm a frightened teenager. To protect myself, I discovered a clever trick. I can act and make most frightening noises! The carers love me. But nobody has time for me. I still try hard to win a heart. But my hope is dwindling; DAY BY DAY. 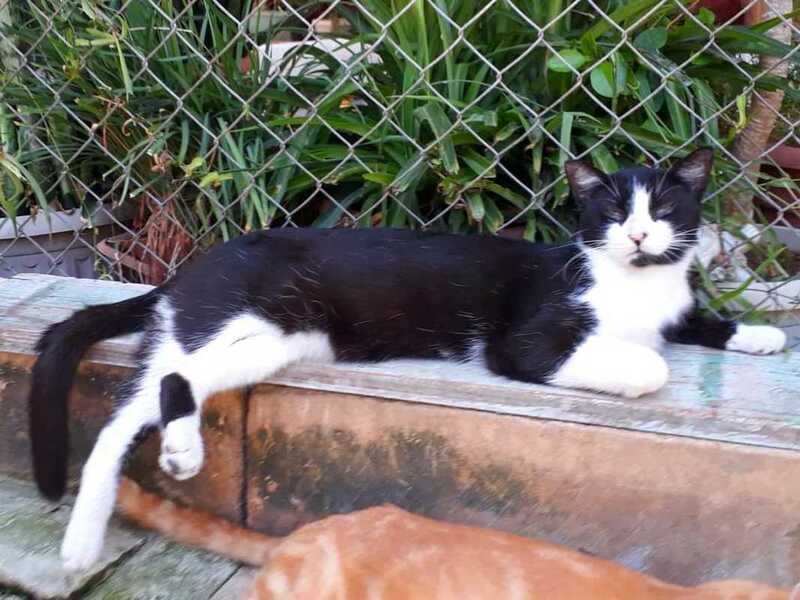 Carer's comment: Milo is a beautiful and healthy house cat with stunning looks and a sweet, playful character. He needs understanding, committed owners who provide a stable and loving home for life. Suki: I talk. Wth my slim, graceful body. With my expressive eyes. With my voice! I hunger for attention, contact and love. I am 3 years young, beautiful, intelligent, persistent and extemely affectionate. I am longing!!! for a human partner and a home. When I was a kitten I was adopted from the Sanctuary. Almost immediately after homing,my new owner became seriously ill and had to return me. Again and again I was promised a place on the website. However, I always had to give it up for a Cat in greater need. Now I am here! Will you look at me? Will you share your life with me??? I have been waiting all this time! Carer's comment: Though Suki's colouring is that of a beautiful, glossy, dark tortoiseshell, in shape and temperament she is a Siamese. She has the elongated, slender body and tapering tail as well as the ability to "talk"
If you or family members suffer from nervousness, Suki is not for you! ​If you are looking for an extrovert companion, sometimes vocal, always social, loving, active, playful and more than ready to bond, you have found her. Suki is FIV positive. Don't let this stop you from considering adoption. 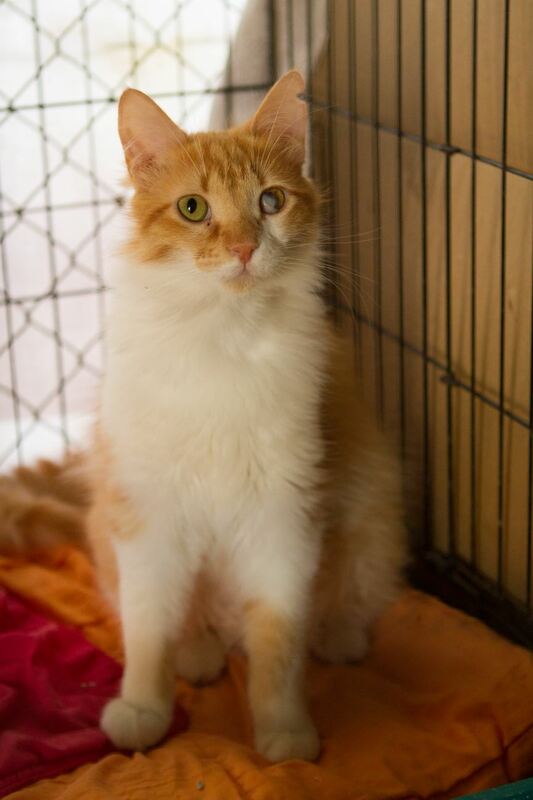 Please refer to the article FIV-Cats on our website (http://www.csafcatsanctuary.org/fiv-cats.html). You can change the world for me. ​ Less than half his former weight and stature, Leon still keeps himself attractive. Despite the vet's and Carers' dedicated efforts, Leon's body and soul chose death. Doris took him to the vet on Sunday to ease his journey. Leon is now in a place where compassion and grace are abundant. Leon is now in an extremely critical condition. It is too late for a (foster) home now. We could not find him a second chance before he was literally swallowed up by stress. The former lion is shrunk beyond recognition. Though he still recognizes carers, Leon is now too stressed to eat. Perhaps we all could help by explaining to Cat owners why unwanted, highly civilised house Cats need to be found HOMES, not shelters. Cats come with claws, teeth and health warnings. They are complex and wonderful creatures who for us can be difficult to read. If in doubt, favour the Cat!!! We less gifted and compatitively limited humans misunderstand Cats far too often. Leon: I am sensitive. I'm civilised. I am very affectionate. I lost my home, my family. Because I scratched a child. Now I suffer for it. I'm in a refugee camp for unwanted Cats. I lost my confidence, my self esteem, my carefree happiness. I once was a magnificent, lion like tom. Big!!!Loving!!! So affectionate and so proud! Dwindling, shrinking, losing weight and self esteem by the day. Doris loves me and feeds me, but the Sanctuary is no home for me. I am so hurt and so confused. Will anybody ever want me?? A feeble lion who scratched a child? If you can safe me, please don't wait, Pick up the phone and ring 77660151 . ​I need a home fast. Stress and bereavement are killing me, - neither slowly nor softly. Carer's comment: Babies cry, dogs bark, Cats scratch. It's not attractive, it is their defense mechanism! Actually, Cats clearly warn, before they attack, but for us humans the feline warnings are so detailed and delicate that UNFORTUNATELY they often go unnoticed. Leon*s so sensitive reaction to the loss of his family strongly resembles those of Nania and Alexis. Both were Somali Cats with their ability to smile, their magnificent red coat, their distinctive tail. Both suffered terribly and lost weight at a frightening rate. Nania and Alexis were literally saved by understanding, patient and compassionate owners, capable of imagining what these sensitive Cats had. been through..
Two red Somali beauties were very happily homed this year. Will there be a third home for another red lion? Will you come and meet Leon? Will you see him with your heart? Don't wait! Leon is losing his strength, health and hope visibly and at a seriously worrying rate. President's choice: Leon with Doris. Big, beautiful boy, but lost and very lonely! Moonshine is a middle aged (5 to 8 years), silver Persian with a silky coat and stunning amber eyes. Confused and so much in need of a home and affection!!! A mature, dignified tom with a unique mind, quite of his own. Before he was found on 30 October near a rubbish dump in Marsascala, his ex-owners had him groomed. Do you know of anybody looking for a silver Persian? Has Moonshine been abandoned or is he lost? A Persian Cat is not fit for life outside, nor in our Sanctuary. They appreciate care, comfort, routine and reliable affection more than most Cat breeds. Moonshine is still interested in visitors and easy to handle, but increasingly withdraws. He needs a loving home before he abandons hope. Will you meet him? Will you take the time to get to know him? ​He is well worth it! Jo -, pawprints on your heart! It started in the streets of Zabbar, took me to a vet who operated on my ears, then to the Sanctuary in Cospicua and it should end in a home. At least that's what my carers say. They think I'm sweet, stuninng and deserving. I think I'm just making most of my life. I have been amazingly lucky so far. As a white stray under the Mediterranean sun, ear cancer was my fate. However, I was caught and taken to a vet! My diagnosis was shattering. However, it meant I was not released back into the streets, but was granted the safety of the Santuary. During my stay there I put on a bit of weight, gained confidence and with trusted friends I have become increasingly cuddly. Also, it is so much easier for a young, white Cat to keep your coat clean when you live away from the streets! Yes, my ears have been amputated, but my amazing two coloured eyes will draw your attention away from them. I am unobtrusive despite my looks. I move quietly, and don't demand anything. But I love people and will purr for you when you can spare some time. They tell me my human will come for me. If it is you, I'm here!!! Waiting for you to take me home! Carers' comment: Not much is known about Jo's origins. Was he ever a house Cat? Thrown out, when the sweet kitten turned into a tom? Like almost ALL of our new admissions Jo had to be neutered on arrival. ​Jo is a gentle, remarkably sweet Cat who spreads contentment,gratitude and well being. Like every Cat he has his own, individual character and comes strongly recommended to kind and caring owners. I learnt quickly and became my sweet and friendly self again. Then, just when I was ready for adoption, I became ill. Very ill.
Recovery took some time and by then most kittens my age had been homed or released into the Sanctuary grounds. I am still in the kitten enclosure, but no longer in a cage. Waiting for my parent or partner to take me home. Will you come??? Soon???!!! Carer's comment: Dorobello is an exceptionally sweet, trusting and affectionate kitten-teenager. He is of light built and appears long, tall and graceful. Eventually his long, fluffy coat will need support with brushing or grooming. With proper care for body and soul he could become a stunningly handsame tom. Though he appears quiet, he needs and thrives on human affection and play. He is a lovely (!!!) , quality-rather-than-quantity Cat who starts purring the moment you pick him up and playing the moment you bend down too him. Nobody looking for a feline companion should be able to resist Dorobello's sweet face, expressive eyes and young and loving personality. The sooner he can be homed, the better. At this point in time Dorobello can go either way : Home - or Sanctuary Cat. It's decision time for him. Will you allow Dorobello to win your heart? I am beautiful, stunning, most attractive. 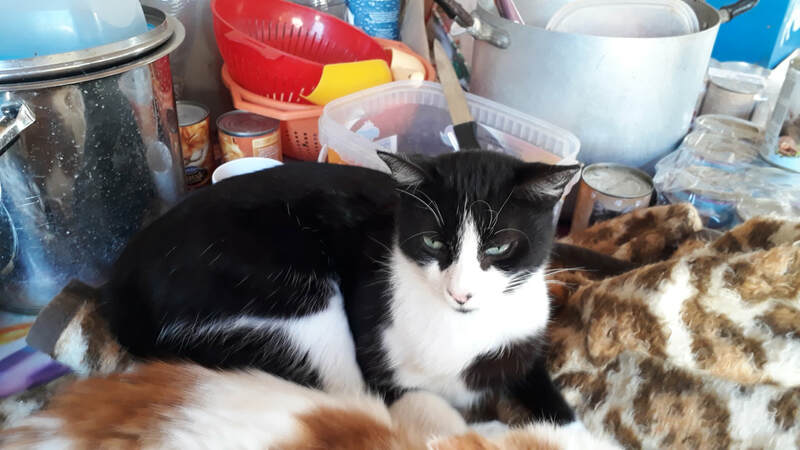 Though scared by the sheer number of other strays in the Sanctuary and despite the frightening noises he can produce, Milo might, in a home environment and with skilled and patient introduction, happily accept a playmate. Joy has just been neutered and is perfectly healthy, though slim. ​Little JOY is probably one of the friendliest and most trusting young cats you will ever encounter. A VERY sweet, very young Cat, almost a kitten. Snow white with black ears and a matching tail, as black as ebony, Joy also sports two generous black heart shaped patches which cover her back in a yin yang design. Chest tummy and legs are of a spotless white. Adding her looks to her lovely temperament, it is impossible to imagine who could leave Joy behind, locked up in a house, facing starvation. Will you try and put things right again for Joy? Perhaps you are the person to show her that her unabated trust in the human race is justified after all?. Will you attempt to provide, not a Happy End, but a Happy Beginning to Joys new life? time to say goodbye to the sanctuary? That's us, Gigi and Mishou, two inseparable, sight impaired brothers . I, amazingly handsome Mishou, have only one eye and in the past relied on Gigi for security and guidance. Gigi is our brain and not bad looking either. However even his sight is not perfect: one eye is slightly cloudy. We are at our best and surviving together. From the hostile and increasingly dangerous Sliema streets our feeder took us to an enclosure cage in the Sanctuary. There are a LOT of Cats here! It's really quite awesome. We are now looking for a safe house/flat share with one or two kind and cat caring humans . If you hear of something, please pass our details on! Or even better: let us know!!!!! Comment: if you ever had the great pleasure of "owning" two brothers, you won't need any encouragement. To watch their interaction and appreciate their different character traits is never ending joy and entertainment Extrovert Mishou seems the obvious winner, but it is a privilege to interact with slightly more wary and responsible Gigi. Given their sweet nature and amazing trust as well as the fact that homing the much loved partner will provide company and stability, why don't YOU magic a happy homecoming for our two - quiet - stars? Gigi - will you home me? Have you ever been the Number Two? Ever had a beautiful sibling who always stole the limelight? My sister Mia was the lovliest kitten you can imagine and she was ever so friendly and confident. No wonder she got all the attention annd was homed straight away once we were ready for adoption . I, Papagena, the much more careful, multi coloured tomboy was left behind. Not that I am an ugly duckling!!! As you can see, I am stunningly marked with stripey stockings and an amazing overall golden sheen. And I have learnt over the last two years that humans are friendly, understand fun and that cuddles and attention are actually VERY nice. If you like me know that the Number Two very often surpasses a number one and that patience always pays off with a cat, shall we try to enhance our lives? I am so beautiful I take your breath away! My fluffy, featherlight coat is shimmering in shades of bronze and gold. I do know how to stand impressively and how to move with grace. I am a compact, but fragile cat with golden expressive eyes and a saddened soul. I've suffered terribly from loss of home and family but gradually and courageously managed to drag myself out of my sadness. And by now I can accept support!!! Are you the person to save me? My anger might still flare up and you should grant me time and patience. But once you learnt to read me, you will be able to comfort me. Allow yourself to fall in love! Comment: Mandy is a stunningly beautiful, young, litter-trained and healthy house cat who lived through great sadness, anger and great pain . When she was left at the Sanctuary because her first owners moved, she got so upset that carers seriously feared for her life. Fortunately Mandy was adopted to caring new owners. HOWEVER, the resident house cat and the lively family environment upset annd frightened her so much that she urinated everywhere and on everything. To smell herself. To give her anxious little soul courage? To mark her own terriory?? Mandy has become much calmer and now is SO GRATEFUL for any attention and affection . She deserves to be happy as an only and treasured Cat of understanding, patient owners who will provide a stable and loving home for life. TIMMY - third time lucky!! !